Go to Project settings > Customer permissions to choose who can raise requests in your service desk and who your customers can share requests with. プロジェクトに追加されたカスタマー Your team adds customers to the project via the Customers page, or by raising requests on their behalf. 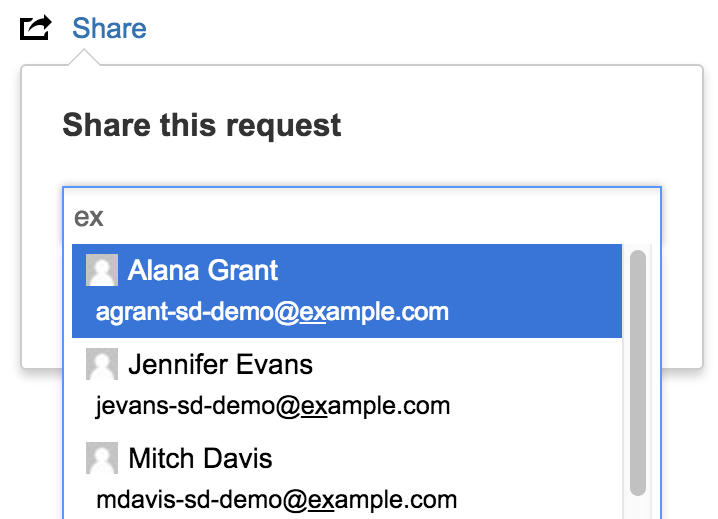 People with accounts on your JIRA site are automatically added to the Customers list and can raise requests. You can allow customers to share requests with their organizations, anyone in the service desk, or people who aren't customers yet. The people customers share with become participants in the request. Request participants can comment on and share requests and receive the same notifications from JIRA Service Desk as the reporter. Learn more about request participants.